On the Death of a Christian. On Sabbath, January 31,  he was confined to that bed, from which he never arose. Five months of wearying sickness passed away till all was over. He never complained—always said he did not suffer, though it seemed to his attendants almost impossible that he did not. The coloured man who had long lived in his house nursed him faithfully. His children were much with him. At times his disease appeared so violent that it seemed impossible that he could survive. But he rallied again. He insisted that morning and evening worship should be performed in his chamber, and readily detected the absence of any of his servants. Worship was ordinarily performed by one of his sons. If at any time their own duties compelled them to be absent, he would be propped up in his bed, and utter his usual fervent prayers. Disease obscured his mind, and caused confusion and wandering. But on the subject of religion, or any exposition of the Scripture, he was clear as ever. Not one syllable is he remembered to have uttered which betrayed confusion, where the interests of Christ’s kingdom were concerned. When any of his grandchildren approached him who were not in communion with the church, he faithfully conversed with them—bade them meet him at the judgment-seat, on the right hand. He was remarkably earnest in his appeals, and enforced them with urgency. The ruling passion was strong in death. When he was told of the occurent revivals of the noon-day meetings for prayer, and of the general interest manifested everywhere in religion, his countenance beamed, and he said there were more glorious days at hand, and that the Redeemer’s kingdom would be ushered in by such displays of grace. Towards the close, he said to his eldest son : ” I am tired of eating—I want to go home!” But still the strong man of his constitution struggled with disease; pin after pin seemed loosening in the tabernacle; symptom after symptom developed unfavourably, but his frame did not succumb. The nature of his disease was such as to prevent such exhibitions as are often seen in God’s dying children. This was the appointment of God, and a life of such eminent holiness did not require any other illustration of the grace of God. At the close of June, he became unconscious, and lay for two or three days without any communion with the outer world. His children were with him, hourly waiting for his departure, and at last, on Sabbath, June 27th, just before the setting of the sun, he entered on his eternal Sabbath, and doubtless, as a good and faithful servant, was received by his Lord, whom he had served earnestly, in as far as the imperfection which cleaves to our nature permitted. 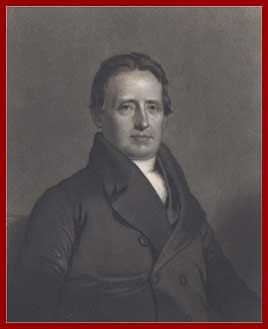 His funeral was attended in the First Presbyterian church, when the Rev. Dr. Hodge, who had been received by him, in the dew of his own youth, into the communion of the church, preached his funeral sermon, full of affection, and replete with memorials of his deceased and venerable friend. Devout men carried him to his tomb—Christian ministers who had come at the summons, from their homes, to see the last of one whom they venerated when living, and mourned when removed. After the death of his wife, he had built for himself a family tomb, and was anxious that it should be of capacity sufficient to accommodate the remains of his family, and of his children to the fourth generation. He seemed to take pleasure in the thought that their dust should repose together till the morning of the resurrection, and rise, he trusted, an unbroken family, to the right hand of his Saviour. May we all die well; which is to say, may we all die in Christ, our names written in the Lamb’s Book of Life; may we all, in this life and while there is life, seek Christ as our only Savior and Lord, for none of us know when we must answer that call to go Home.